Rwanda’s President Paul Kagame today arrived in Angola’s capital Luanda for a two-day working visit. Kagame’s office reported that the President will hold talks with his counterpart President João Lourenço. The two last met in July last year on the sidelines of the 10th BRICS Leaders’ Summit in July last year. President João Lourenço last visited Rwanda on March 20 last year when he attended historic signing of the Africa Continental Free Trade Area (AfCFTA). 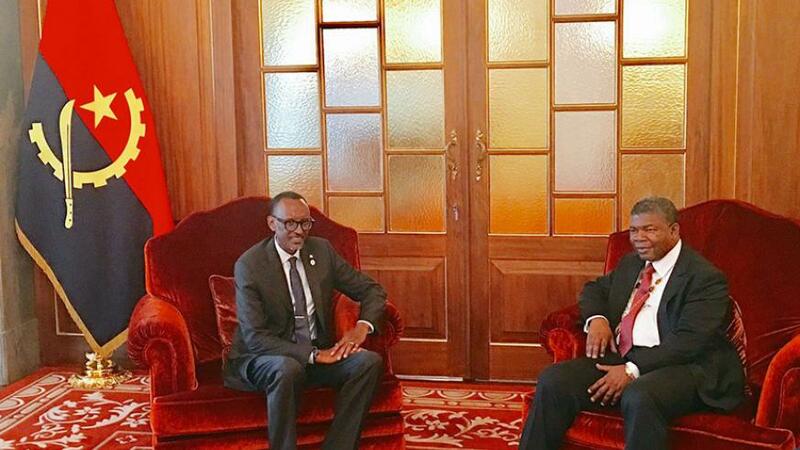 Rwanda and Angola signed several bilateral agreements in different areas. For instance, in 2014, they signed three agreements aimed at grounding work to allow the two countries to cooperate in political matters and conducting bilateral economic cooperation in different areas. President Kagame last visited Angola in September 2017 for the inauguration of President João Lourenço.